A BBC article reports, "Watching video over the internet at home is roughly the same as having two or three old-fashioned incandescent light bulbs on, say Prof Chris Preist and Dr Dan Schien, of the University of Bristol's computer science department. 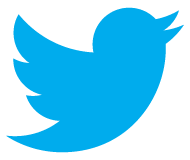 As well as the power used by these devices, energy is consumed by the networks that distribute the content." The home ICT gear resides in what we call the Edge layer. 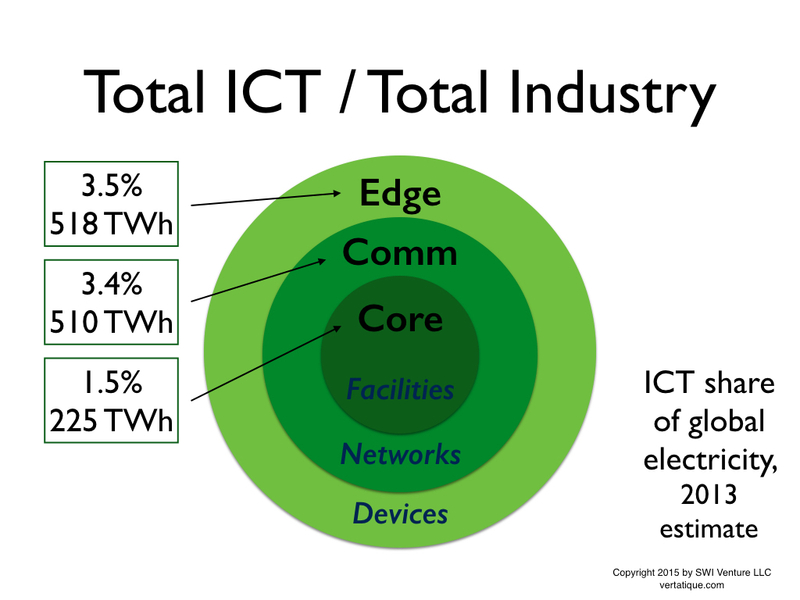 We estimate that the Edge is responsible for 35%-41% of global ICT energy consumption. The remainderer is consumed by the Core and Comms layers. Using these ratios, streaming's total energy consumption could be more like six or seven incandescent bulbs. The are a lot of variables in there estimates. One is the energy consumption of the Edge device (large-screen television versus mobile device). Another is the Core storage and Comms bandwidth required by the media (4K video versus music). But video now dominates. Sandvine's Global Internet Phenomena Report says, "Video is almost 58% of the total downstream volume of traffic on the internet...Netflix is 15% of the total downstream volume of traffic across the entire internet." But audio has its own footprint. The BBC notes, "The European Commission-funded Eureca [project's] lead scientist, Rabih Bashroush, calculated that five billion downloads and streams clocked up by the song Despacito, released in 2017, consumed as much electricity as Chad, Guinea-Bissau, Somalia, Sierra Leone and the Central African Republic put together in a single year." And finally, this ironic shout-out for what is often viewed a legacy technology: "Terrestrial broadcast TV is a lot more efficient than current streaming technologies for TV channels that are watched by a large number of people, say Prof Preist and Dr Schien."